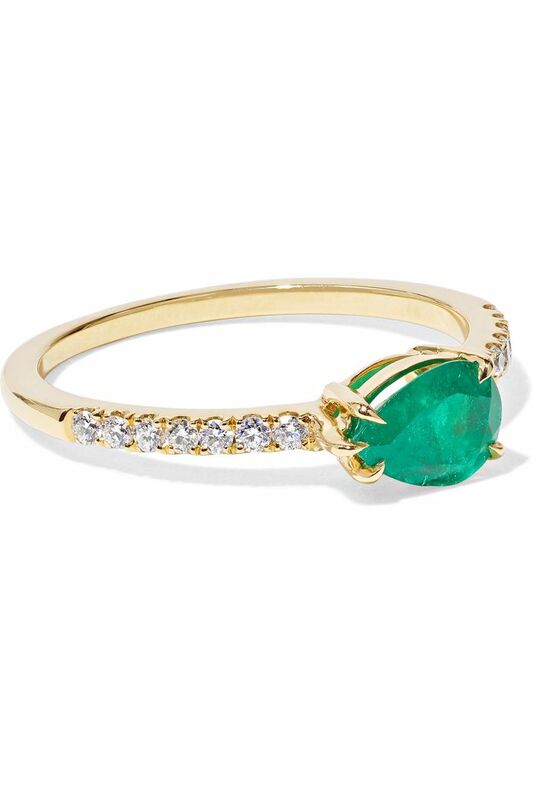 Is it just us, or are emeralds having a major moment in jewelry right now? 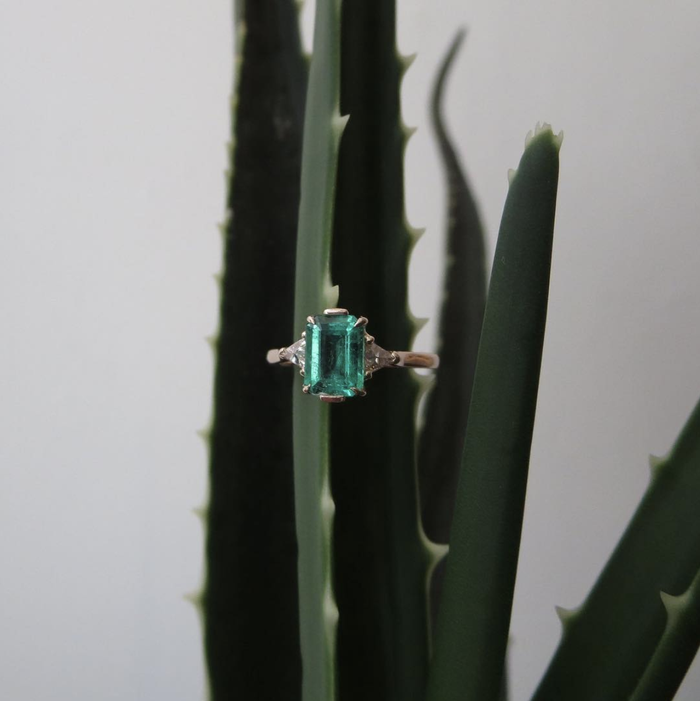 Sure, rubies, sapphires, and other gemstones are on our fashion radar, but there’s something about the rich green shade of this particular gem that has us doing double-takes—specifically when they’re featured on engagement rings. While nontraditional rings have been gaining in popularity, an emerald-and-diamond engagement ring feels both unexpected and timeless. If you’re a bride who wants to go the unconventional route for her bridal style, yet wants a ring that’ll transcend the trends of today, an emerald ring is your best bet. Take it as an updated version of Kate Middleton’s sapphire engagement ring, worn by the Duchess of Cambridge and the iconic Princess Diana. Ready to refresh your inspiration board? Scroll down below to see the emerald engagement rings on the market that we’re loving right now. By the time you get to the end, you’ll be ready to drop a few hints to your S.O. The prong setting gives this a unique twist. A halo of diamonds surrounding a center stone is so timeless. For the woman who truly wants to stand out. With two diamonds flanking the emerald, this style is perfect for the modern minimalist. We love how the color sits against the rose-gold band. We can't get over the texture in the gold that surrounds the stones. We love how these two stones work with each other in this design. The rosy hue to this ring makes the emerald pop. This ring has a kaleidoscope featuring smaller diamonds that dance as you move. The marquis diamond looks so whimsical set off of the pavé band. The baguette diamonds on the side make give the ring so much more intrigue. It doesn't get more eye-catching than this beautiful handmade ring. This vintage emerald engagement ring is absolutely stunning. The knotted details on the side of this ring are everything. Now this is a unique ring. Looking for another unconventional style? These aquamarine rings are perfect for you.